Most attention to slum tourism in Latin America focuses upon visits to the Brazilian favelas. Tourism in other countries is much less common and has received hardly any attention. However, recently an insightful article was published on the internet regarding the notion of tourism to Medellin, Colombia. It discusses tourism in the context of social urbanism and city branding.The online article is a summary of an academic article by the same author in the Journal of Place Management and Development. Certainly worth a read! Hernandez-Garcia, J., 2013. 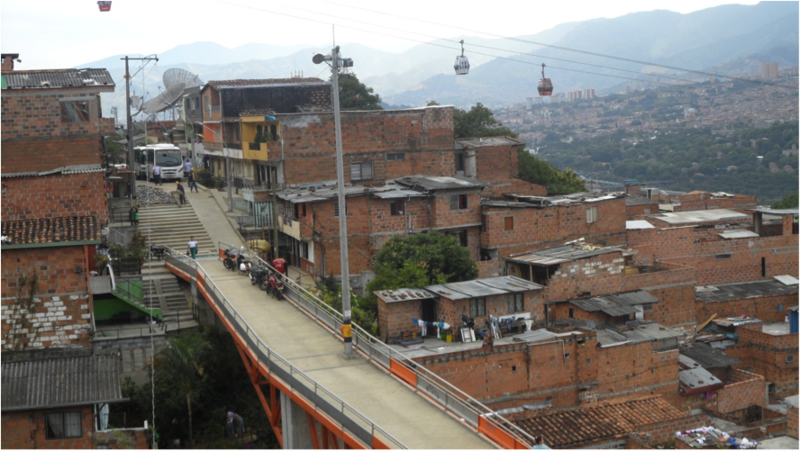 Slum tourism, city branding and social urbanism: the case of Medellin, Colombia. Journal of Place Management and Development 6, 43–51. Reality Tours and Travel, the company operating slum tours in Dharavi, India has won the Responsible Tourism Awards 2012. The company is awarded the prize on the basis of their educational Dharavi Slum Tours that is said to make it possible for tourists to tour a slum in India in a responsible way. This is the second year running that a slum tourism product (or similar) won the overall Responsible Tourism awards. Last year it was Sock Mob Events/Unseen Tours that won with their tours of London by homeless people. This is an interesting development. 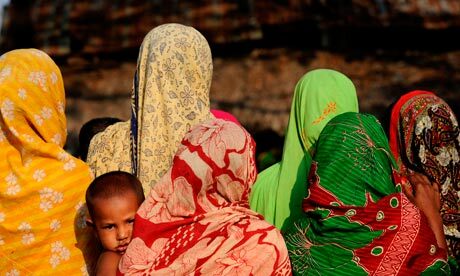 Whereas slum tourism has received much criticism on ethical grounds, it now also is increasingly recognised as a potential form of responsible travel. One of the most needed things to achieve this, would appear to be transparency on where income and profits go. The website of Reality Tours has an impressive ‘transparency‘ section on their website that shows how their income is spend. Unfortunately, the last report dates from March 2011, so it is not possible to see the developments of the last 1,5 years in which the company can be expected to have grown much. An interesting radio broadcast on slum tourism was recently aired by the BBCWorld Service. Its “Business Daily” programme reports on slum tours in Dharavi, India and we hear a short analysis from Dr. Malte Steinbrink on the subject about whether the phenomenon represents aid or exploitation for slum-dwellers. The programme can be download from the BBC World Service website, or you can download the report as an mp3 file directly from here (the part on slum tourism starts at 7.12). BBC News article – Slum tourism: Patronising or social enlightenment? BBC News has published an article on slum tourism highlighting the ethical debate on slum tourism. While the article holds little new information, it contains a decent summary of the debates. Furthemore it is another example that slum tourism incresasingly gets attention in the mainstream media after a similar article appeared in the UK “Metro” free newspape. Leslie Jameson has won the 2011 Graywolf Press Nonfiction Prize for her collection of essays “The Empathy Exams: Essays on Pain”. It will be interesting to read how she deals with the subject of slum tourism in her final book. Given that her PhD research deals with poverty and degradation in twentieth century American writing, it could be that this is going to be the focus in her essay on slum tourism as well. Should anyone know more about this, please get in touch! Sockmob Events/Unseen Tours have won the Responsible Tourism Awards 2011. Their product is an interesting one that in first instance may not be perceived as slum tourism, but certainly overlaps with it. It involves homeless people showing tourists their vision of the city. As such it appeals to tourists seeking a more ‘real’, ‘authentic’ or ‘exotic’ view of London. Seen in this way it is not too dissimilar from other slum tours. The win of Sockmob Events/UnseenTours shows that slum tours also can be perceived as a form of responsible tourism. The global nature of slum tourism is yet again observed in a French newspaper article and accompanying film about tourists visiting the Banlieue (impoverished suburbs) around the big cities in France. Unfortunately both publications are in French, so may be sometimes somewhat difficult to follow (google translation). 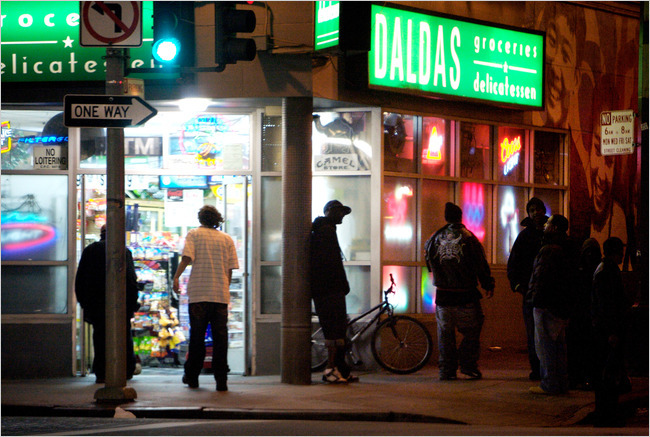 As a short summary, the article discusses how so called ‘Greeters’ assist people in visiting the impoverished suburbs in Paris, Lyon, Nantes and Marseilles or in the Pas-de-Calais. They seem to be from the area and argue they want to promote the area and dispel the prejudices that many tourists and French people may have. Tourists going on the tours say they are seeking the ‘real’ France. Both such arguments to organise to visit the Banlieue are very similar to slum tours elsewhere. These free walks have existed in Paris for the last 4 years and have met a certain success: 240 ‘Greeters’ have joined the ‘Parisien for a Day’ association, which organised more than 4,500 tours in 2010. It seems the (tourism) department of Seine-Saint-Denis is one of the first official bodies of government that shows interest, although other initiatives are also developing in les Yvelines and Seine-et-Marne. It appears that the tours have originated to a certain extent in the community, although I cannot really grasp from the article how the ‘Parisien for a Day’ organisation works, so if anyone knows more about this, please let us know! A weblog by Michael Smith mentions the possible start of of poverty tourism to the Romani settlements near Veµká Lomnicea village in Slovakia. 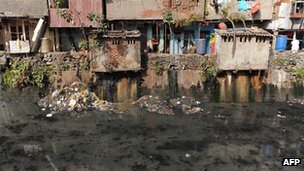 What is significant about this form of slum tourism is not just the location, but also the fact that it is the mayor of the town that is planning to organise the tours. Apparently the local population that is to be visited has little or no control over this project. This would make it an example of slum tourism of the most unethical form. Not only does it seem unlikely money will reach those that are visited, tourism even seems to be used for political purposes. While this may be a biased version of the story, it does reflect a potentially highly disrespectful form of slum tourism that should not be endorsed. More generally, since this kind of slum tourism perpetuates the negative connotation that many people have with slum tourism, one wonders what people can do to highlight to tourists that tours are unwanted before they book them. Furthermore, it begs the question of how to ensure visits to impoverished areas and communities happen in a respectful way. Next week will see a paper discussing this latter issue on slumtourism.net.